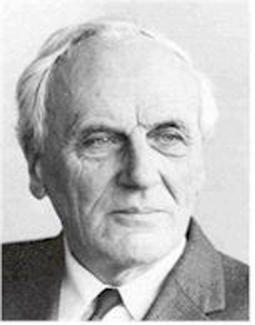 Professor Bernard Tellegen first noticed the Luxembourg Effect in 1933. One night, Mr. Tellegen was in the Netherlands, listening to a station transmitting from Beromunster, Switzerland, on 652 kHz. In the background of the Swiss signal, he could hear the audio of Radio Luxembourg, which normally broadcast on 252 kHz. He was far enough away from each station that neither station's signal would have been strong enough to overload his receiver. The two signals seemed to be mixing somehow, but by what means? It is well known that two radio signals can be mixed in a circuit designed to do so, and produce a signal that is the sum or difference of the two. This is the basis of Edwin Armstrong’s heterodyne receiver. They can also mix unintentionally, such as in the situation where two transmitters are very close to each other, typically less than a mile or so, and the signal from one gets into the other's transmitter, causing the transmitter to broadcast the sum or difference of the two frequencies. This problem is called intermodulation, and modern FCC rules require the unwanted signal to be filtered out so that it is not broadcast. This was not the case though. The two stations were nearly 200 miles apart. Professor Tellegen also noted that the interference was directly on the Swiss radio station's frequency, not on a third frequency as would normally occur from a mix. The phenomenon was reported by other listeners on the same night. Pondering the problem further, he noticed that the two stations and his receiving location were nearly in a straight line, with the Swiss station's signal passing almost directly over Radio Luxembourg on its way to the Netherlands. He correctly theorized that somehow, the Swiss station's carrier (the part of the radio signal without audio added to it) was being modulated by Radio Luxembourg's signal. What the professor could not understand was how this was happening. The upper layer of the atmosphere known as the ionosphere was a new concept in 1934, largely theoretical, with strong indications that it existed based on the observation and study of how radio waves seemed to be reflected by something up there. Originally it was thought to exist only at night when it reflected lower frequency radio waves back to earth. No airplane at the time could fly that high, and only when studies were done at higher frequencies did scientists understand that the ionosphere consisted of multiple layers. Low frequencies are absorbed by a lower layer that normally forms only during the day in sunlight, and never reach the reflective layer. More on how it works can be found in my Marconi article. At the time, it was assumed that the ionosphere was consistent and stable. Rare gases in the upper atmosphere are ionized by particles radiated by the sun. Although scientists and astronomers had long since observed an 11-year solar cycle of sun spots and solar flares, radio had not yet existed through enough 11-year solar cycles to develop an observed relationship between these cycles and radio wave propagation. During heavy sunspot activity, long distance communication using lower frequencies will get worse during the day and better at night. The exception being a severe solar flare, whose particles can have the same effect at night as daylight does, activating the lower absorptive layer and killing long distance propagation at night. Professor Tellegen began to wonder if the powerful 150-kilowatt signal of Radio Luxembourg itself might excite the ionosphere. This only raised more questions, the big one being that if it did, why did the phenomenon not occur every night, or at least more often. The same phenomenon was noted by Russian radio listeners who heard the audio of Radio Gorky superimposed on other stations, so it is sometimes referred to as the Luxembourg-Gorky Effect. There are reports of the effect being noticed again in the 1950s, but even then, there was no way to reproduce or scientifically prove what was going on. Fast forward to 2007. Here is a case where most likely, you did not know that your tax dollars were hard at work. Construction on HAARP, which stands for High-frequency Active Auroral Research Program, began in 1993 with its final version becoming active in 2007, at a cost of $250 million. The system, built in Alaska, consisted of a massive directional antenna system, pointed straight up, with multiple combined transmitters capable of beaming a 3.6 million-watt radio signal into the ionosphere above it. It could operate between 2 and 10 mHz, the low end of the short wave band. HAARP was built for multiple reasons centering on both military and non-military research. All of the research, experiments and results are far beyond the scope of this article, save for one, but a good summary of them are available on Wikipedia. Google HAARP for numerous interesting articles about the project. The array could hit the ionosphere with enough energy to create man made aurora. The massive HAARP antenna, covering 33 acres, can beam 3.6 million watts of radio signal into the ionosphere. For the first time a repeatable recreation of the Luxembourg Effect could be accomplished. Beaming two signals into the ionosphere, each on a different frequency, one, amplitude modulated (AM), the other with no audio, resulted in the audio from the modulated signal being superimposed on the other. So what was happening? The reflectivity of the ionosphere was changing proportionately to the powerful AM signal as its intensity changed in relation to the audio program, thus changing its reflectivity. Therefore, the amount of signal of the unmodulated radio wave reflected back to earth, changed proportionally as well. Since AM receivers detect changes in the signal level of a radio wave, they reproduced these changes as an audio signal. Seventy-five years later, Bernard Tellegen’s theory was proven. Layers of the ionosphere that affect radio waves. So why is the effect so rare? Let’s look at the diagram I used back in my article about Marconi and consider two possibilities. Keep in mind that normally, a man made radio signal pales in comparison to the amount of energy reaching earth’s atmosphere from the sun. One possibility is that on the night that the professor and others first noticed the Luxembourg Effect, it may have been a rare occasion of very little solar activity. Perhaps almost enough but not quite enough solar particles were reaching the reflective F layer of the ionosphere. Reflectivity would have been reduced, and reception of distant stations would have been marginal. The addition of Radio Luxembourg’s powerful signal may have been just enough to tip the scale, so to speak. Since the strength of an AM signal varies with audio content, the amount of this additional ionization and consequential reflectivity would also vary with the audio, causing the strength of the weaker, reflected Swiss signal to change proportionally. The other and more likely case would have been a solar flare or other solar activity causing the lower absorptive D layer to become partially ionized at night. This effect is well documented by ham operators and others, as it can make nighttime reception of distant, low frequency stations go away altogether. Again, in this case it would require a marginal level, just enough to begin to ionize the D layer, weakening but not eliminating distant reception. Under this case, the Radio Luxembourg signal would have the same effect as described above causing just enough additional ionization to tip the scales. Either way, the important thing to remember is that the two signals were not mixing at all, the modulation (audio) of the stronger one was being superimposed on the weaker one. I am surprised that I could not find any recorded observations of the Luxembourg Effect in relation to the five years that WLW operated at 500kW. Perhaps that is an indication of how rare the phenomenon truly is.  The stations must be operating on different frequencies, and the superimposed audio heard on one or both of them. You must not be hearing it on a third frequency such as the sum, difference, or other mathematical relationship of the two frequencies. You should be a good distance from both stations, 20 miles or more to be safe, so as not to create overload artifacts in your receiver. The two stations should be a good distance from each other, so as not to create intermod mixing artifacts in their own transmitters. You should be able to draw nearly a straight line on a map or globe between yourself and the two stations. In general, the signal from the more distant station must pass over the other one at the point where its signal would be reflected back down to you. The stations must be amplitude modulated (AM) or one of its variations such as single sideband or double side band, or CW (morse code). FM will not cause varying levels of ionization. If you want a shot at hearing the effect, you can improve your chances with a lot of hard work. Line up possible candidate station combinations on a map. The station in the middle should be at least 50 kW, a 100-500 kW short wave station would be better. Wait until you hear a news report of a major solar flare, then spend many hours late at night through the wee hours of the morning listening. 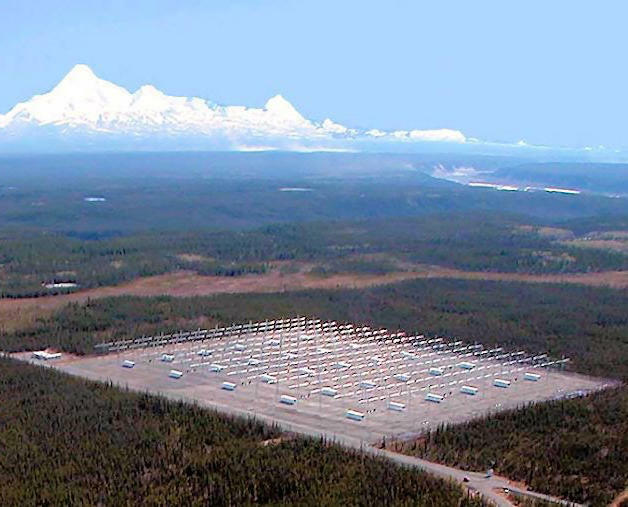 The HAARP project was slated to close and the system dismantled, but after much lobbying effort by the University of Alaska, the U.S. government transferred the facility to the school and research continues.